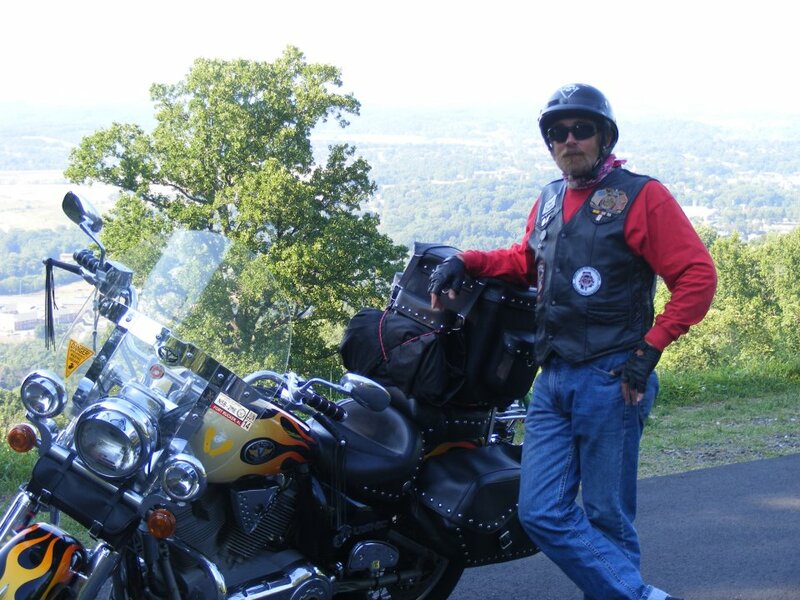 Martin, aka the Damned Yankee, has been riding for years and has had lots of adventures along the way. He rides a Victory, his second one, which he really likes. He hails from Pennsylvania, and between there and Alabama, he put in 22 years in the U.S. Marine Corps. He has six brothers who also served in the Marine Corps. I started riding with him and found that I enjoyed it enough to look into getting my own. 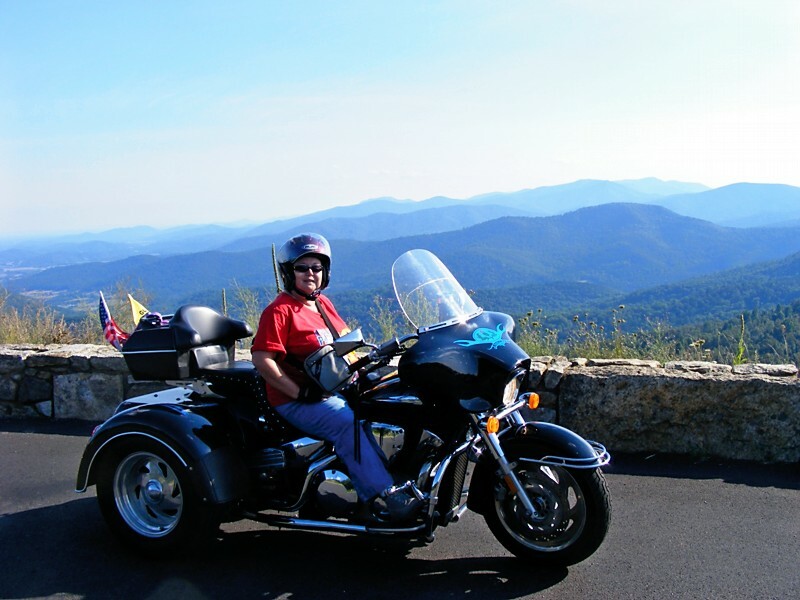 I chose a Honda VTX 1300 with a Motor Trike conversion. I’m a native Alabamian, an author, historian, and I also work as an administrative assistant. I have another blog, thehistoricfoodie.wordpress.com where I post on a wide variety of topics, all pertaining to foods and cooking techniques history. I’m a member of the Motor Maids and you’ll find quite a few articles on early MM history on this blog. 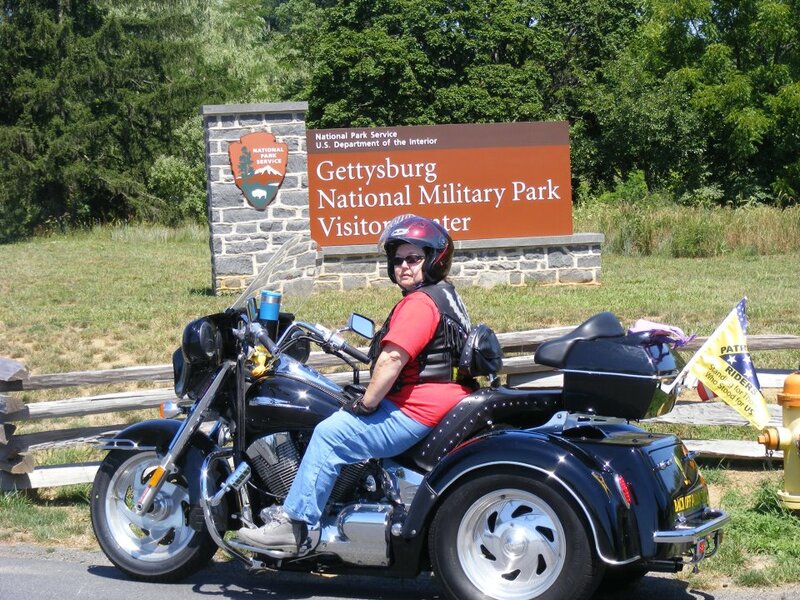 We’re also members of the Patriot Guard and associate members of GWRRA. We joined ABATE after being hit by a negligent driver in July 2010. I served a year as the Legislative Director and Martin served as the representative on a state safety coalition. We resigned because our primary focus is on safety and awareness rather than lobbying the legislature to pass laws regarding riding, but wish them well in their endeavors. 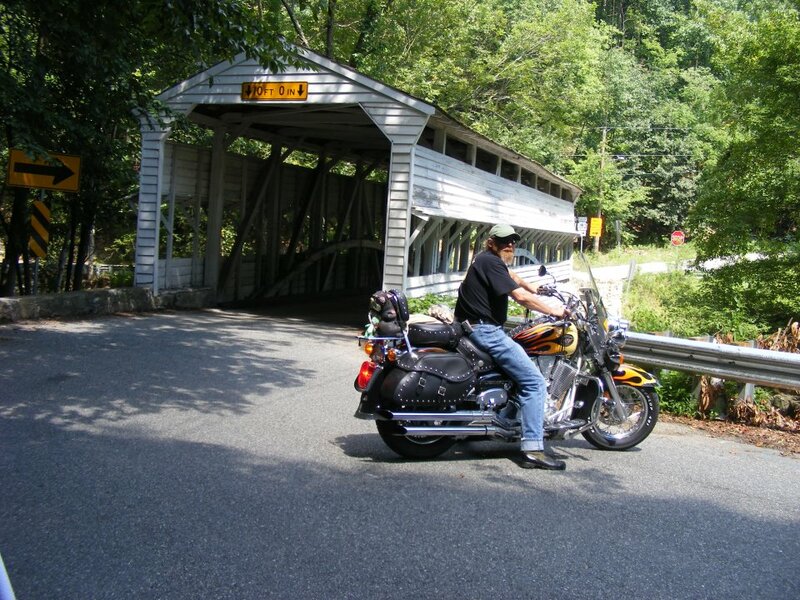 Motorcycle fatalities are increasing annually while automobile fatalities are decreasing. Motorcycle safety and awareness are extremely important issues and there are numerous ways you can help make Alabama’s roadways safer. Use the search feature here for a list of organizations in Alabama and choose the one that best fits your needs. Photos on this page were taken in July 2011 on our trip to Pennsylvania. Hey guys. Good seeing you today. Just wanted to let you know I got that Indian tee shirt. Thanks for the harley tee trade in. Great! Thanks for letting us know. Call us if you ever want to get together for a ride through the great outdoors.